Purim is one of the odder holidays in the Jewish year. Unlike our other holidays, it is not sourced in the Torah at all, a distinction it shares with the other “secular” holiday of Hanukkah. Not only is Purim unique in its history—centering as it does on events that happened outside the Land of Israel—it is also unusual in its observance: on no other holiday are Jews expected to be utterly and unashamedly silly! 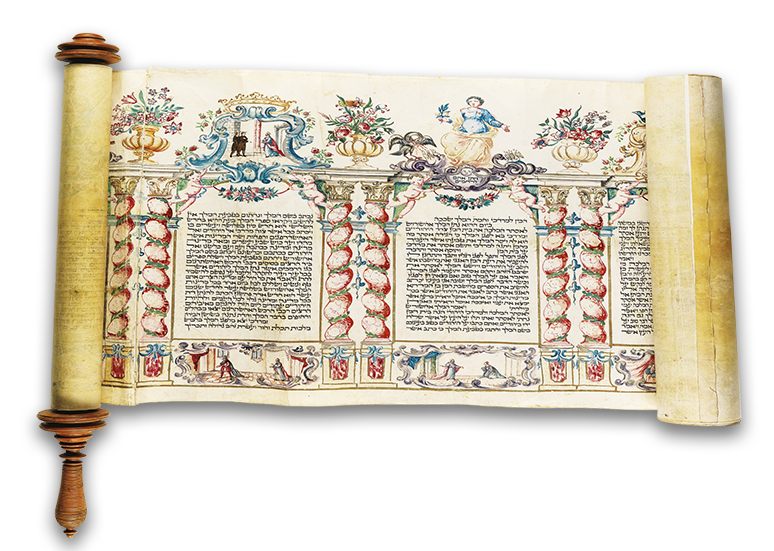 The rabbis of the Talmud sought to anchor Purim in the Biblical tradition, with varying degrees of success. Massechet Megillah details how the earlier sages at first rejected the observance of the holiday, citing the principle that we are not allowed to add to the Torah. Eventually they gave in, but the holiday forever retained the signs of its eccentric origins. It came to pass on the third day when it was morning that there were thunder and lightning , and a thick cloud was upon the mountain, and a very powerful blast of a shofar, and the entire nation that was in the camp shuddered. Rabbi Acha bar Yaakov observed: This provides a strong legal contest against the Torah (since it was a contract entered into under duress). Said Rava: But they reaccepted it (out of their own, uncompelled choice) in the days of Ahashuerus, as it is written (Esther 9:27): “The Jews confirmed and accepted”—on that occasion they confirmed what they had accepted long before. א”ר אחא בר יעקב מכאן מודעא רבה לאורייתא. Why in the time of Ahasuerus? The story of Esther is the quintessential story of exile: the Temple is in ruins and the people of Israel and Judea scattered to the four winds. Jews live under the rule of foreign despots and the spectre of genocide is never far away. Mordechai and Esther were, to all intents and purposes, assimilated Jews, who had managed to rise to power by adapting to the ways and norms of a foreign court. Their very names are of Persian origin. In essence the exile was a return to the circumstances of Egypt—a powerless existence, where political power is won by assimilating or not at all. We don’t know to what extent the Jewish communities in Persia still kept the traditions of their ancestors. There is certainly no mention in the Megillah of aspirations toward returning to the Land of Israel. The earlier exile of the people of the Northern Kingdom had succeeded in its goal of dispersing the people of Israel into political and cultural oblivion—a cultural genocide. There seemed little hope that the Judean exiles would fare any better. So how could it be that the exiled Jews of Persia “ratified” the Torah that had been given at Sinai? One answer may be that the exiles were the ones best suited to do so because they were living in exile. With God’s hand nowhere in evidence, they were free of any hint of divine compulsion. As opposed to the generation of Sinai, who were overwhelmed by the thunder and lightening, and the sound of the shofar from the mountain, the Jews of exile could choose not to trust in divine providence. They had every reason to cease being Jews and simply assimilate into the larger peoples around them, as had the Ten Tribes of the Northern Kingdom, who had been exiled a generation before. But they didn’t! When Haman’s decree of extermination fell upon them, they didn’t hide among the nations; rather, they stood firm, fasted and prayed, and made ready to fight and die. In their determination not to give up on the promise made at Sinai, despite their having every excuse to do so, they did indeed “confirm and accept” the Torah anew. Judaism runs far deeper than the cerebellum. It is not a “set of ideas” nor an ideology; it is a culture, a commonality of peoplehood, a family… It is built of things that touch us on a visceral level, far below the conscious, thinking, rationalizing mind. It is a thing of the heart and soul, not the mind. And as such, ideas alone should not define who is in and who is out. Judaism is not a religion! It is not a worldview or a set of beliefs about the world or about God, or even about the place of human beings in the world. Although all of those things are part of Judaism, they do not define its essence, nor do they set the boundaries for inclusion or exclusion. And so Purim, the quintessential holiday of exile, has something to teach us about how to preserve our communal ties, even when we live in exile and at the capricious whim of foreign rulers. How much more should we take these lessons to heart when we live as a free people in our own land!